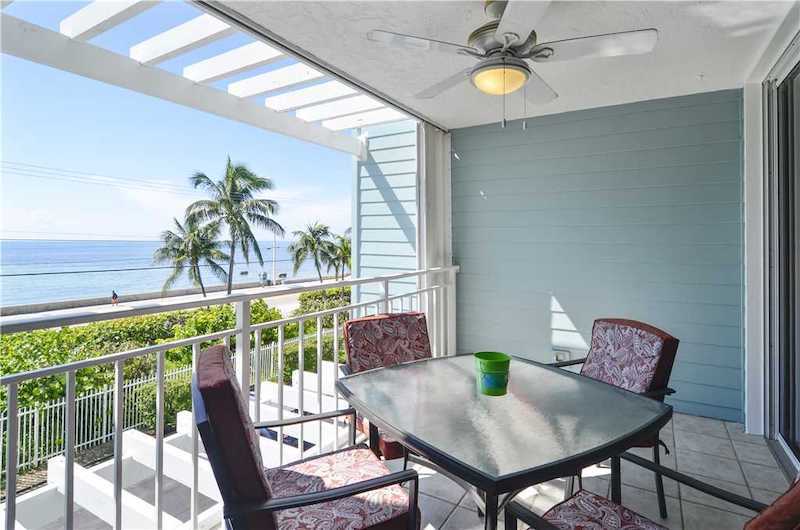 Key West oceanfront rentals offer easy access to the white sand beaches along the Atlantic Ocean. Go on a tropical getaway to Key West and take advantage of the tranquil setting without being too far from Old Town’s Duval Street, Mallory Square, and more. 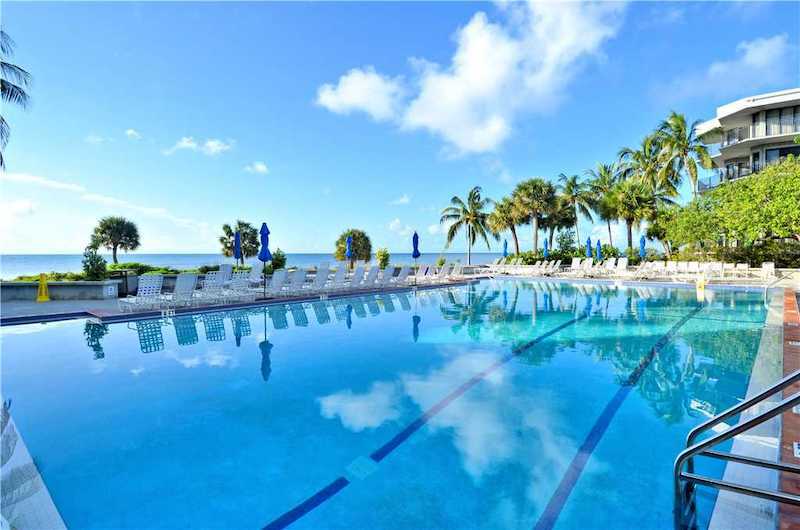 Some of our oceanfront Key West vacation rentals are just steps from Smathers Beach, and all of them feature pool access. 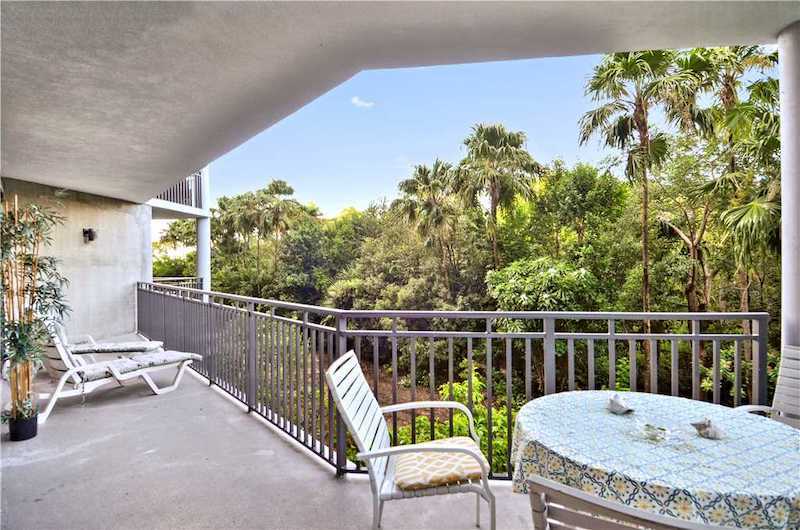 Take in the sprawling Atlantic Ocean views from your wrap-around porch in this 2 bedroom 2 bathroom condo. Located on the third floor, Mermaid’s Dream is in a gated resort community that features a fitness center, pool, jacuzzi tub, tennis courts, and more. The unit is spacious and can accommodate four people comfortably. Walk to Smathers Beach or some of Key West’s best shops and restaurants just a few blocks away. Located just steps from Smathers Beach, 4 Palms is a 2 bedroom 2 bathroom home with enough space for six guests. This unit is right off the Atlantic Ocean in a gated condo complex that offers a community pool, grill area, and fitness center. While you’ll feel miles away from the hustle in this condo, you’re just two miles from famed Old Town Key West. You may never want to leave your patio at Brisa Del Mar. Gaze out at the sparkling waters while enjoying a morning cup of coffee or evening cocktail in this 2 bedroom 2 bathroom home that has enough space for six guests. Located in a gated community, Brisa Del Mar offers access to a community pool, grill area, and fitness center. If you do want to leave the resort, you’re just across the street from the beach. 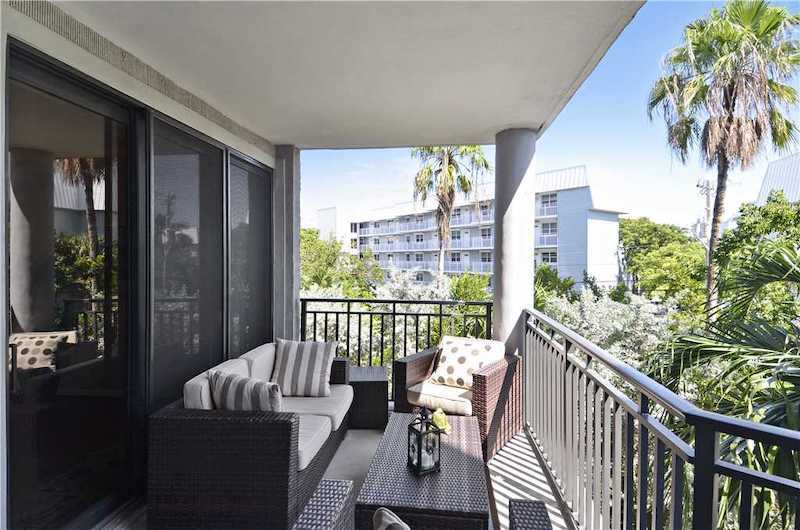 Located in the gated 1800 Atlantic condo community, Atlantic Paradise boasts a spacious patio where you can hear the ocean waves crashing. This 2 bedroom 2 bathroom unit has space for six guests and access to a community pool, grill area, and fitness center. You’re just a short distance from Mallory Square’s Sunset Celebration, Duval Street, and several beaches. Or, just take in the views from your unit. 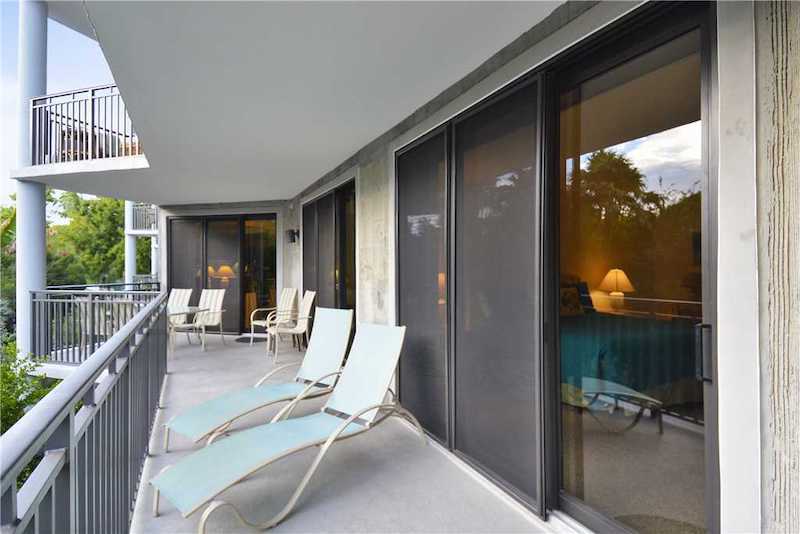 Papaya Place is a 2 bedroom 2 bathroom unit with space for six guests in the 1800 Atlantic Condominiums. Enjoy the tranquil oceanfront setting of Papaya Place where you can feel the ocean breeze while taking in the lush garden view. Take advantage of the community pool, grill area, and fitness center, as well as the close proximity to Key West restaurants, shops, and more. Browse through our other Key West communities like Stock Island, Old Town, and Midtown. Our vacation rentals in Key West offer amenities like a private pool, hot tub, and outdoor grill. Some of our units are even pet-friendly.